Get additional information about Utah’s year-to-date fatalities here. 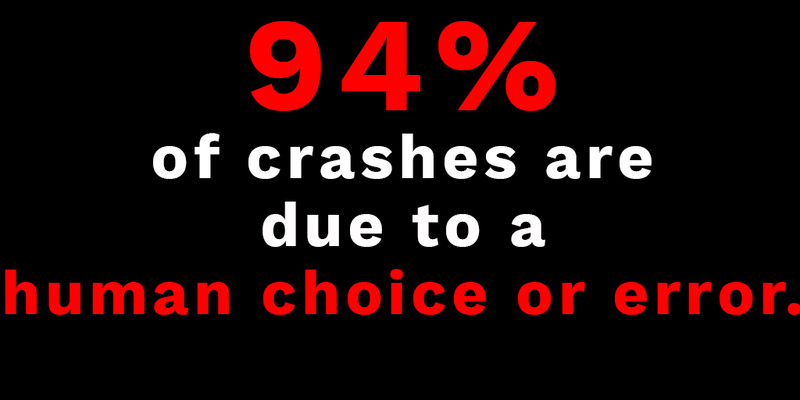 You can find additional crash and fatal crash information on the Highway Safety Office’s Crash Data and Statistics page. 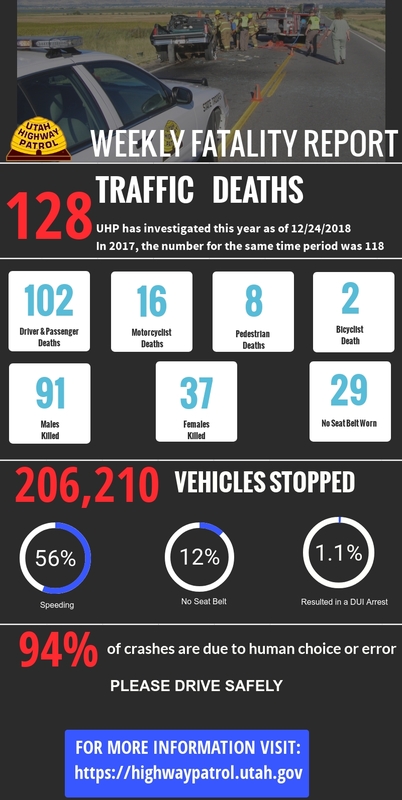 Many of the deaths on Utah’s roadways are preventable. Decisions like not buckling up, speeding, drinking and driving or driving distracted have very serious and often deadly consequences. We’ll be doing our part to keep everyone safe, here’s what you can do to keep yourself and your family safe on the road. Seat belts save lives. 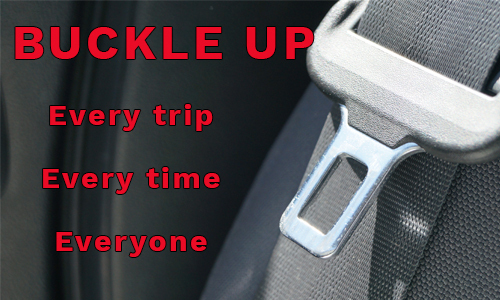 Make sure everyone in your vehicle buckles up. Get more information about Utah’s seat belt and car seat laws here. 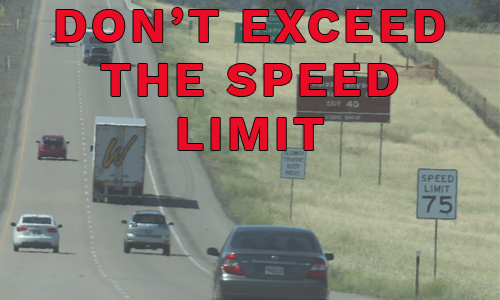 Speed is a leading contributing factor for fatal crashes. The speed limit is for ideal conditions – great visibility, dry roads. Adjust your speed for conditions if you encounter any kind of inclement weather. This is one of our primary enforcement focus areas. 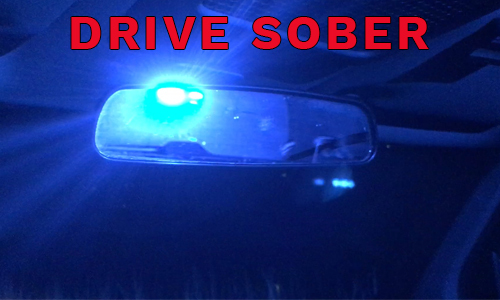 If you’ll be drinking, make plans for a safe and sober ride home. Call a cab, ride share, sober friend or family member – never drink and drive. Every instance of impaired driving is 100% preventable. And if you see a drunk driver, call 911. Make sure you’re well rested and if you’re traveling long distances, schedule breaks or switch drivers. 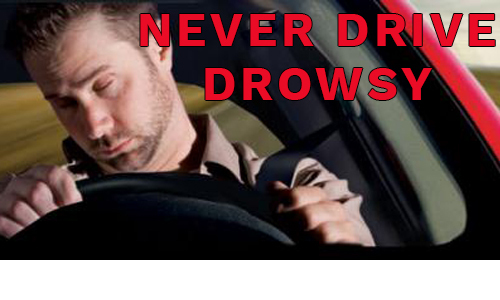 Get info on the warning signs of drowsy driving here. If you’ve traveling overnight, make sure everyone in the vehicle stays buckled up, even if they go to sleep. When you’re driving, focus on driving. 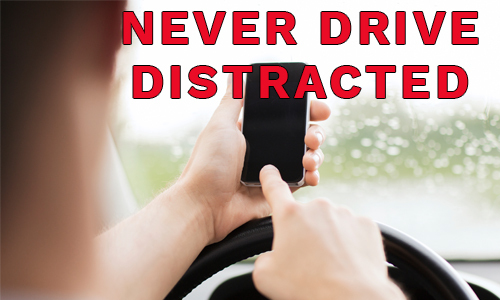 Whether it’s cell phones, food or passengers, avoid distractions of any kind and keep your focus on the road. 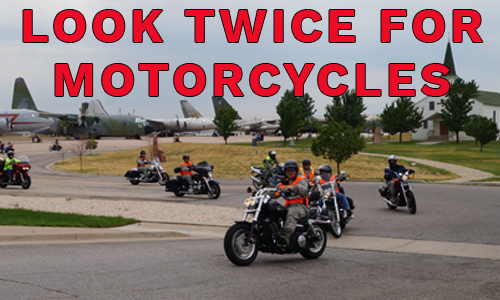 The nice weather means our two-wheeled friends will be out on the roads with us. Be sure to look twice for them, especially when you’re turning at intersections and into/out of driveways or parking lots. And if you’re riding, check out Sgt. Lucas’ spring motorcycle riding tips and never ride above your skill level.